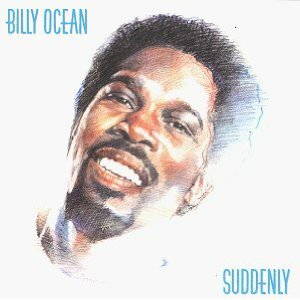 Billy Ocean was one of the 80’s most popular crooners. His hits included the legendary Caribbean Queen, Get Outta My Dreams, There’ll Be Sad Songs To Make You Cry, among others. Yet his most soulful ballad was the title track to the album that put him on the map. Suddenly is a love song in every sense of the phrase. It stirs emotions in even the most casual listener. Played endlessly at weddings and anniversary parties for the past twenty-five years, Suddenly has earned its title as a classic. The song just gets inside you and makes you love the one you love more than ever before. Billy Ocean is still touring and performing, and with hits like Suddenly he certainly won’t be stopping any time soon. Nor should he. He’s one of those rare performers who has the magic inside him; a magic that will not be contained.